I'm a huge Gwen Stefani fan. From her being in the band, No Doubt, to when she first released her debut album as a solo artist, she is definitely one of my favorite unique musicians that always comes out with hit music, not to mention her being a judge on The Voice! 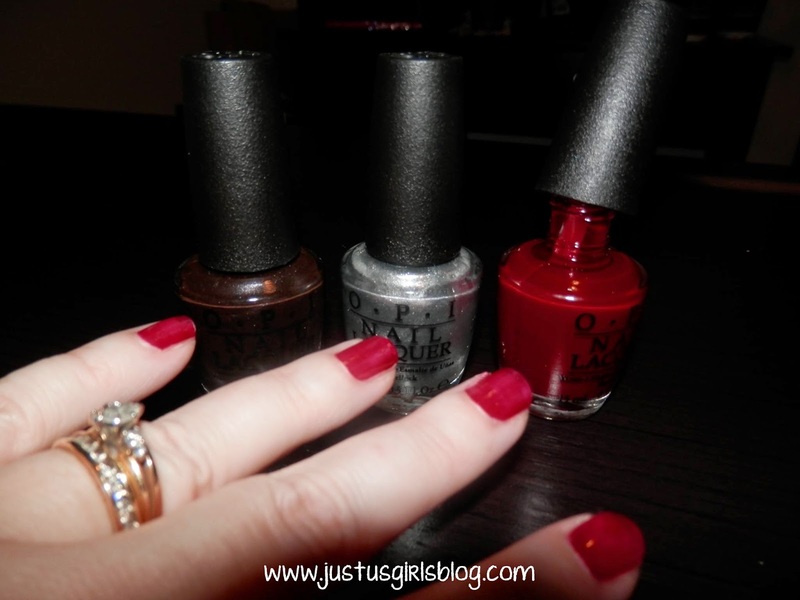 OPI Nail Polish has quickly made itself number #1 in my favorites of nail polish brands. 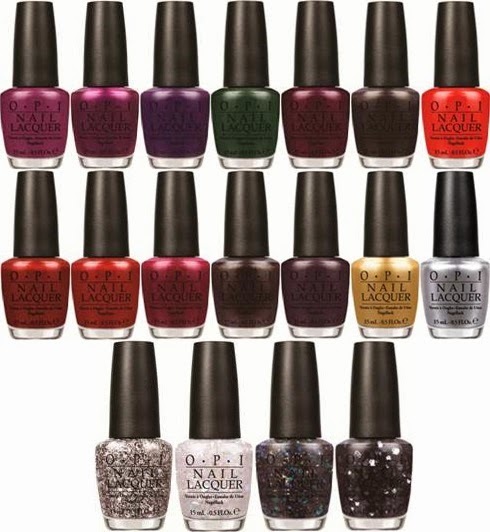 So I was excited to hear that Gwen Stefani was teaming up with OPI again for a Holiday collection. Gwen Stefani Holiday for OPI is a limited-edition 18 set collection that features an assortment of red, maroon, burgundy, and forest green, along with shimmer-packed silver, gold and black shades. Last month I got to play around with three new holiday colours from her collection, ‘Love is Hot and Coal’, ‘In a Holidaze’, and ‘Unfrost my Heart’. These lacquers are beautiful. With a thick brush, superior coverage and gorgeous shine, OPI never disappoints in quality. Just two coats and these lacquers will give you days’ worth of chip-free colour, and the higher quality finish is easily recognizable and so easy to work with. It glides on perfectly balanced and sets quickly, leaving you with a gorgeous finish - and so many different colours to choose from. Two beautifully sparkled thumbs up from this girl! Wooln’t you just love wearing this warm, luxurious gold? Disclosure: All opinions are my own. I received samples from the Gwen Stefani Holiday for OPI at no cost for the purpose of this review. No other compensation was received.